Vintage spirits are something we occasionally see pictures of on social media or the internet. Until House Bill 100 passed, you continued to drool over these bottles on your keyboard. House Bill 100 allows individuals with a liquor license to purchase unopened spirits that are not sold anymore from customers. This allowed what has been going on illegally, to be legal. And even better, those liquor stores can sell them to willing patrons. Justins' House of Bourbon is located in downtown Lexington, Kentucky right smack in the middle of everything. You walk in the front door and notice the upscale feel with shelves of common and uncommon bottles, all for sale. There is a table in the middle of the room with nice bags and accessories and to your left is a small room with a couple couches and a coffee table that would be great for sitting down to talk bourbon. Walking past the table you make a left turn. Then you see it, the vintage bourbon room. There are glass cases with bourbon from floor to ceiling. Standing in awe you try to wrap your head around the fact that you are in front of so many extremely rare bottles of bourbon. You gaze around the room and without even thinking your mouth drops and you become paralyzed. You are at the bourbon “mecca,” the bourbon holy land. You take in the sights like you would an oil painting at an art gallery, but this painting lacks a focal point. Your eyes keep searching for this focal point, but instead keep dancing around the room. Finally, you just start walking. Justin Sloan, one half of Justins' House of Bourbon, greets you and you exchange small talk. Quickly, you realize he's just one of us. He's not some snobby uptight liquor store owner. Frankly, any bourbon lover would be able to see that this isn't just a liquor store. This store doesn't just pedal liquor. They sell bourbon, good bourbon. When talking to Justin he reveals his deep passion for bourbon. He wants to sell upscale bourbon and not just sell cheap bourbon to make a profit. 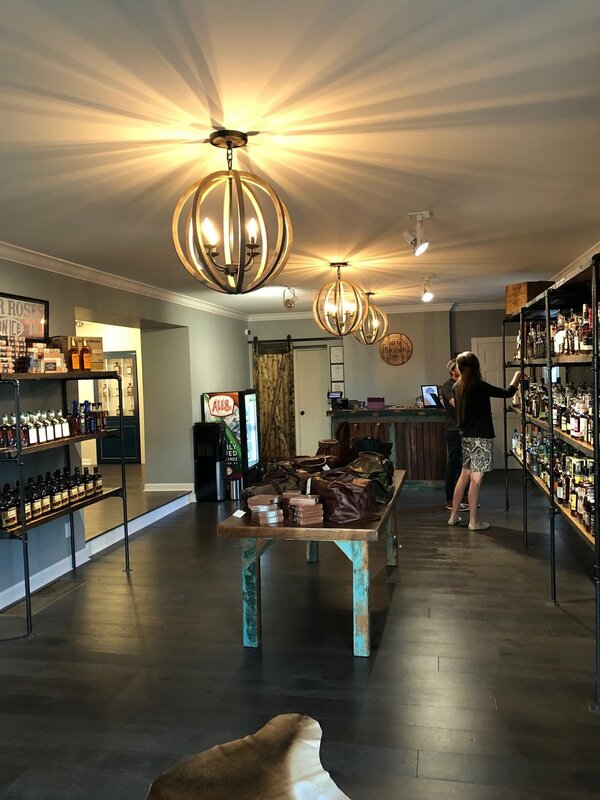 He always envisioned his store to be a place where you come to see and learn about bourbon. He also stresses that you don't have to have a deep pocketbook to leave with something. He has bottles for every budget range. If I had to describe Justins' House of Bourbon in one word it would be “exceptional.” I love bourbon. I love bourbon history. I love rare bottles and I really like to be around people who share the same passion I do for bourbon. If you're looking for a place to run into and grab a bottle of bourbon, then this is not the store for you. You can't love bourbon and not spend an hour or more walking around and talking bourbon with whomever is there. If you are near central Kentucky or doing the Bourbon Trail make sure to add Justins' House of Bourbon to your list. You won't be disappointed.